BWE presents a song, an anthem and a statement. This song represents the hustlers hustle, big dreams and what living successful feels like. ‘Nobody Gat Wat We Gat’ already hit the clubs & has received good reviews so far.. 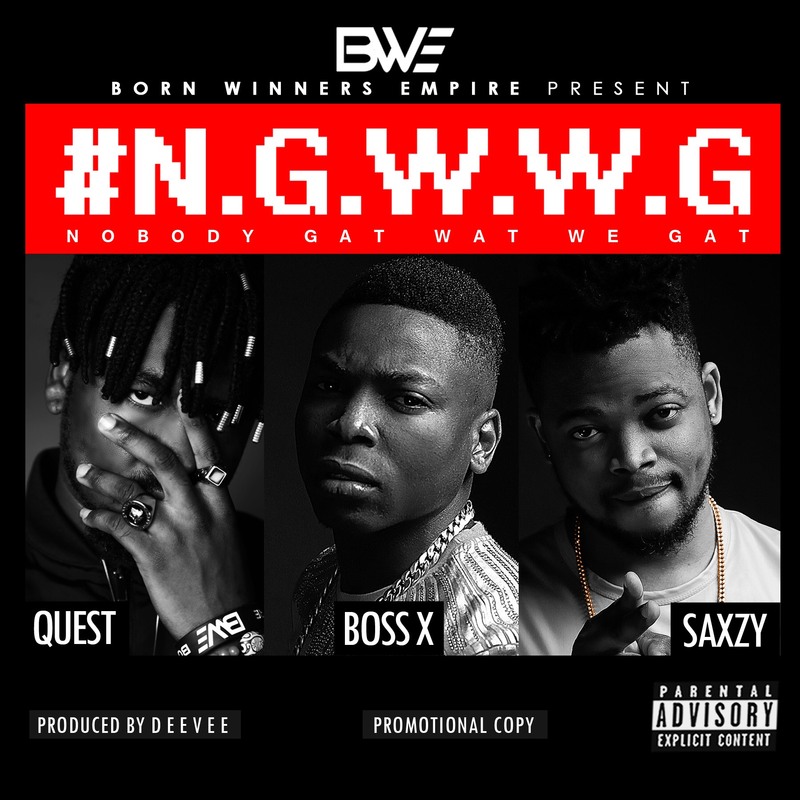 The song’s unique delivery features Bad Boy Quest @badboyquest, Boss X @officialbossx, Saxzy @iamsaxzy . Available on iTunes, Apple music & spotify. John Oluwafemi popuparly known as Frenzy is a recording artiste under Frenzy Music, started his music career in south Africa before he came back to Nigeria. 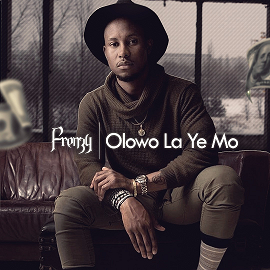 Frenzy debut single “Blessing” which caused universal attention in the media and the entertainment industry across the globe with notable follow up endorsements and has decided to release a follow up single to its debut track And Video which is titled “Olowo La Ye Mo”. This song is a mid-tempo Afrobeat with a nice rhythm & exciting lyrics that will definitely get listeners sing along. 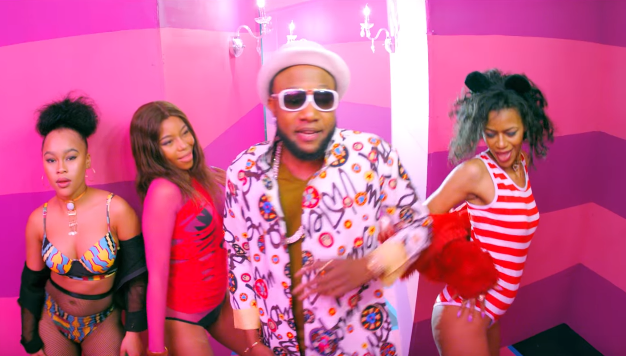 Off his forth-coming abulm titled “Attention To Detail” the Limpopo master himself, Kcee, comes through with this stellar number and accompanying visuals titled “Vanessa“. Vanessa is produced by super-producer – Mystro. Police were called to Blac Chyna's home on Monday, after an argument with a neighbour that started over a disagreement about multiple cars parked outside Chyna's home. Chyna was seen in a heated exchange with another woman on her street. Multiple police vehicles were seen on the street, along with three officers, but no one was arrested. Ahmed Makarfi, the Chairman of National Caretaker Committee of Peoples Democratic Party (PDP) has warned that the party will no longer condone any act of indiscipline from members. Makarfi gave the warning in Abuja yeterday while inaugurating a 37-member Caretaker Committee for the Anambra chapter of the party. He said that the party’s leadership was already witnessing some form of indiscipline from some members, and warned that any undisciplined act would be sanctioned promptly. In his words, 'It is no longer going to be business as usual. What we are saying is that any future act of indiscipline will be immediately dealt with, with appropriate measure. We have noticed that and I assure you that without any delay we will take appropriate measure. The Constitution of PDP has stipulated how indiscipline should be addressed. Anybody that transgresses and thinks he can act the way he wants will be dealt with. We will no longer allow the party to be abused', Makarfi said. Nigerian Senate has warned the sponsors and participants organising the #OurMumuDonDo protests demanding for the resignation of President Muhammadu Buhari over his medical vacation in the United Kingdom to stop heating up the polity with their unreasonable demands. In a statement signed by the senate spokesman, Dr. Aliyu Sabi Abdullahi, the Senate said the protesters were only creating unnecessary tension in the country and seeking to divert the attention of the Presidency from the economic and security issues which are being tackled with vigour. 'The President has broken no law and therefore we do not see any justification for this diversion and noise making. The sponsors are merely seeking cheap publicity at the expense of the peace of Nigeria. We, in the National Assembly, are satisfied that there is no vacuum. The Federal Government is working. Acting President Yemi Osinbajo is providing the required leadership. So, there is no reason for the protests' the statement reads. 'All Nigerians now should focus on praying for the safe return of the President. We in the Senate are happy about the report by the Governors and party leaders who recently visited President Buhari in London and we know he will soon return to continue to provide leadership to our people and the rest of Africa. “We therefore call on the protesters to stop all these demonstrations and let their sense of patriotism overshadow the zeal for activism by joining other Nigerians to pray for the President, the acting President and Nigeria as a country at this critical period', Abdullahi stated. Annie Idibia, mother of two and wife of African music legend, 2face Idibia says she's done having kids. On her Snapchat, Annie who has two kids of her own and 5 step-kids jokingly said, 'I'm done with with having babies'.